The purpose of the proposed Project is to restore natural geomorphic and ecological processes to this section of the river and reduce sediment from flowing into Lake Tahoe. The Project will enhance trail connectivity and recreational access to offer a broad array of activities including fishing, hiking, biking, and golf recreation (18 hole regulation) while bringing substantial economic benefits to the local community to increase economic vitality. 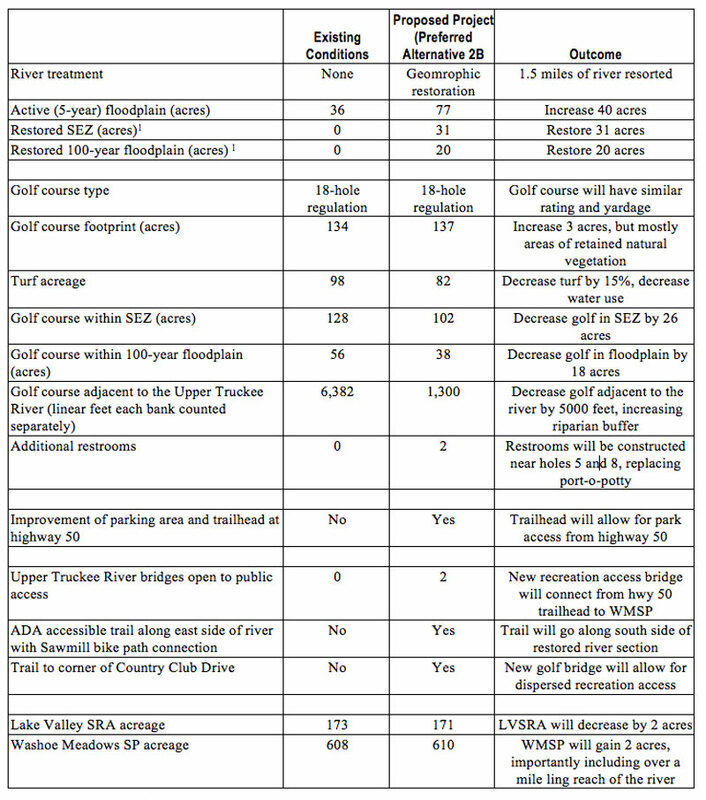 The proposed Project (Alternative 2B) would relocate five golf course holes away from the rivers’ edge and out of the floodplain to less sensitive land west of the river. The river will be restored to a meandering pattern with connectivity to its floodplain. Areas where golf is removed from the floodplain would be restored to meadow habitat. Recreation and access to California State Parks lands and regional trail connectivity will be improved by construction of a new ADA accessible trail that connects from the bike path along HWY 50 along the south side of the river and to a new bridge tying into trails in Washoe Meadows State Park on the west side of the river.